Looking for an email marketing software? In this review, we’ll recommend you a great one – SendPulse. SendPulse suits both the beginners and experienced users. There are several reasons why this service is better than others. What made us choose SendPulse? Unlike other services, MailChimp and AWeber for example, in SendPulse, you can use email, SMS and web push for better clients’ engagement. If a recipient didn’t open your email, you can send a web push. Besides, you don’t need to do in manually. Service does it automatically. This is a great step forward in email marketing Software! 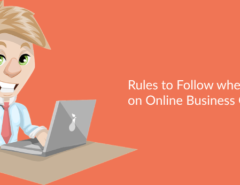 All the entrepreneurs are in search of a service that will raise conversions (email open rates, click-throughs) and improve communication with the subscribers. 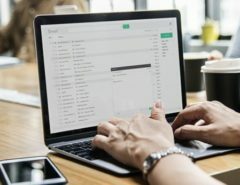 Artificial Intelligence helps to determine the best time for subscribers to receive your emails. It analyses their activity. Also, it will help you to send right messages to right people, because the functionality analyzes the history of a client’s purchases and their actions on your website as well. Thus, your subscribers will get useful and relevant content at the best time for them. Pricing plans in SendPulse are really attractive due to the free pricing plan! 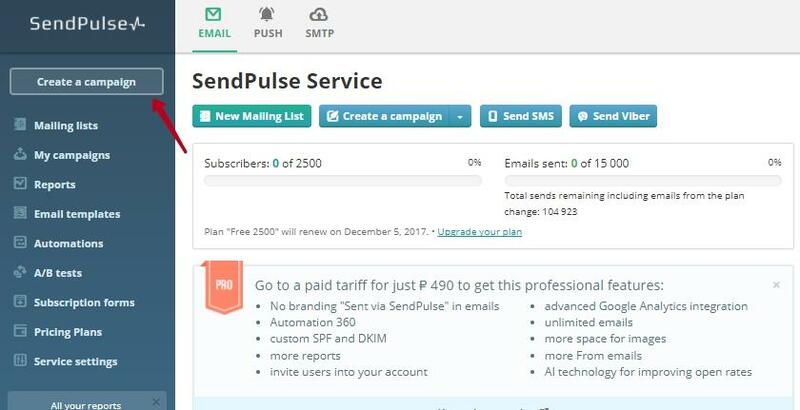 SendPulse is the only one service that allows to send bulk emails to large mailing lists for free. Free plan doesn’t mean that only several features are available, as in SendPulse you can enjoy a great choice of features within free pricing plan. If you have less than 2500 subscribers, send 15 000 emails per month for free! Paid tariffs concerned, we’ve made a little research and came to a conclusion that tariffs in SendPulse are the most affordable. Look below, we’ve compared pricing plans in SendPulse with the same in AWeber and MailChimp. Now you see that the difference is really striking, tariffs in SendPulse are the lowest. Web push service in SendPulse is another great way to reach new clients as push notifications are free forever in the service. There are no limitations for their usage. So, it’s quite reasonable to choose this service for your multichannel marketing, as free plan really allows to enjoy email marketing software in SendPulse as nowhere else. You can also use SMS Service in SendPulse for better engagement. There are 10 free text messages to discover the benefits. When you’re a beginner, interface is probably the second most important issue after the tariffs. SendPulse has user-friendly and easy to navigate interface. There’s no need to contact the support team to create a campaign, we’ve managed to cope by ourselves. This is the Member’s Area of the service. It is quite understandable. Besides, the main features are visible, you don’t need to spend hours looking for them. So, user-friendly interface, affordable pricing plans, multichannel communication and artificial intelligence are the things that made us try and use this service. 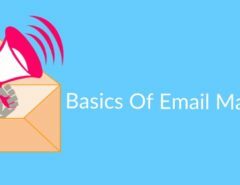 What are the features of email service? As we used email service for free, we’ll dwell on its features. Creating an email campaign takes 3 automatized steps and about half an hour if you don’t create your own template. The 1st step – information about campaign. 1. Choose a mailing list. Before creating an email campaign, create a mailing list, you can send emails only to the users who gave you a permission. 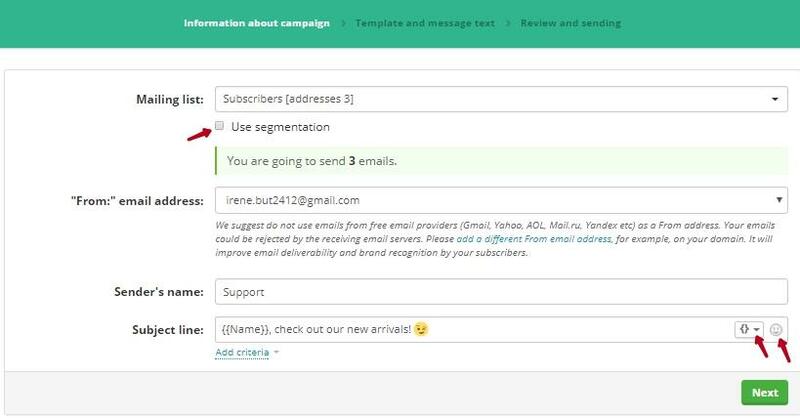 You can send the same email campaign to more than 1 mailing list at once. 2. Write the subject line. You can use personalization in your subject line. When adding a new mailing list, create variables and add personal information about a subscriber to make your emails individual. These variables can be name, gender, age, occupation, etc. Besides, you can add emoji to your subject line, it’s a trend now. On this step you have to create an email template. There are several possible variants in the service: import your own one, create with the help of drag-and-drop editor or HTML editor or the variant that we preferred – choose from existing design templates. The service offers several categories of nice templates. You’ll surely find something suitable for your business. Comparing with AWeber, there are less email templates in SendPulse but they are more “fresh” and up to date. 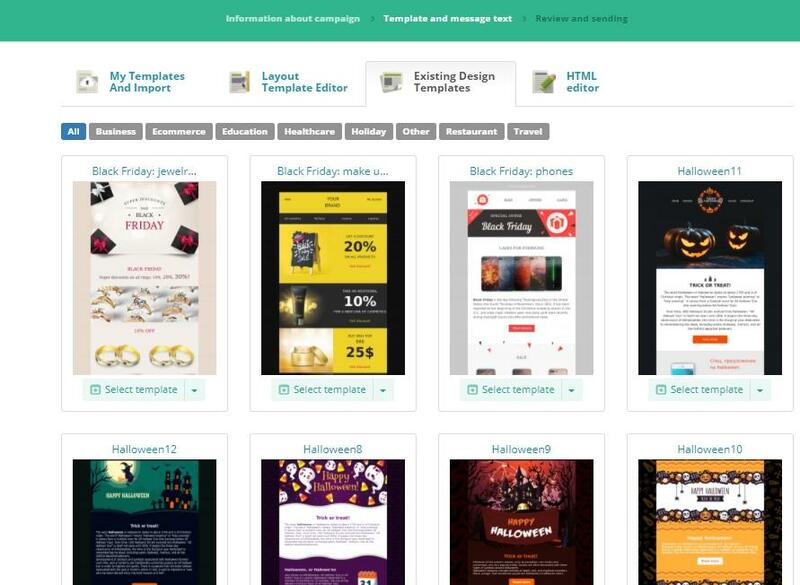 After choosing a template, create an email body. Just drag the elements to your template, add information, edit design and style of the elements. You can use personalization in the email body as well. Your clients will appreciate such an individual approach. You don’t need to be a programmer to create a beautiful template. Check all the data you’ve added before. Preview how your email will look like on your subscribers’ screens. You may set the sending time if you need to send a campaign during non-working hours or on special dates. For you to track stats of your campaign, tick Opens and Clicks. 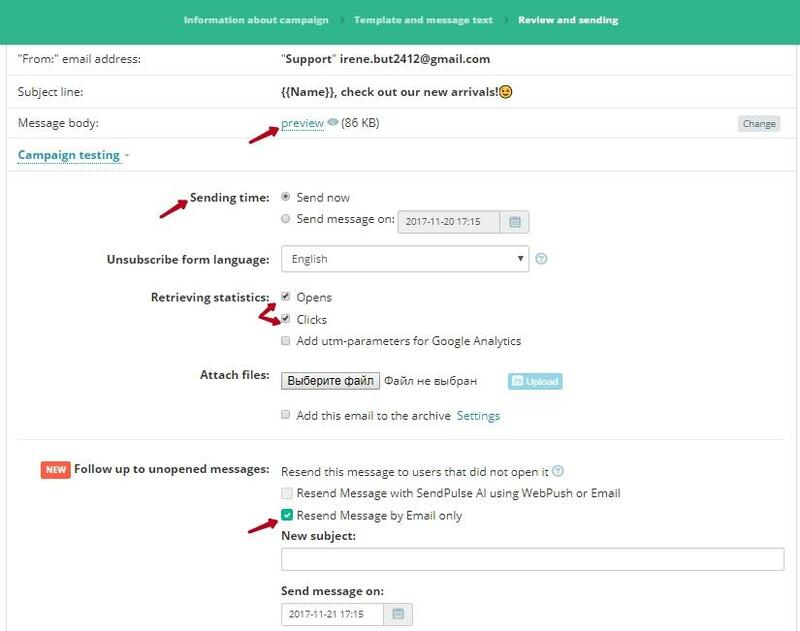 You’ll be able to monitor number of delivered emails, errors, email open rates, click-through rate, opens by devices and location, emails marked as spam, etc. Such detailed statistics will help you to improve and optimize your email marketing since you will know your weak points. If you use free pricing plan, you can resend your email to subscribers who didn’t open it. You need only to create a new subject line and set the sending date. If you use a paid tariff, you can resend your message either by email or by web push notification. This feature lets you increase email open rates. Hurray! Your email campaign is ready for sending! You can test it to make sure that it looks the way you need. Email marketing automation is extremely necessary in your business if you want to save time, to automate campaigns and to have client-oriented approach. In SendPulse, you can choose between Sequential automation and Automation360. Sequential automation is a way to create a traditional autoresponder. It includes series after subscribing to the list, on special days and triggered emails. They are easy to create and available for free. Automation 360 is more advanced feature, with the help of which you can create an event-based automation flow using filters, conditions, action, goal. Such flow can include email, SMS, web push notifications. Automation360 is available on paid tariff only. It is possible to optimize and improve your email campaigns in the service. Use A/B testing to find out which elements of your email perform better. You can test a lot of them: subject line, links, call to action, images, GIFs, videos, font size, etc. SendPulse controls dedicated IP addresses to make sure that they’re not blacklisted. Thus, it’s unlikely for your emails to get into the spam folder and your sender’s reputation is okay. In AWeber, you can’t send email campaigns from a dedicated IP address. SendPulse has phone and live chat support, unlike MailChimp, that doesn’t have phone support. Also, you can look for different terms in SendPulse glossary of email marketing terms. Find the answers to FAQ and read the articles in the Knowledge Base on how to use the service. We enjoyed using SendPulse. This service offers a great variety of useful features and has some innovations comparing with other services. Making the most of the service, you’ll be able to improve your email marketing and get higher conversions. Thanks for sharing the very useful knowledge about email marketing with different-different way like bulk email, artificial intelligence method.that is very useful to increase the traffic for own business. Again thanks for sharing this knowledge step by step process.